South Korean carmakers now face tougher competition at home as their foreign counterparts are becoming increasingly cost-competitive, on top of their preconceived image as being higher-end or safer. Domestic sales of foreign cars led by German automakers rose 21.7 percent compared to a year prior to 26,133 in May last year, while those of locally produced cars sold by automakers like Hyundai and Kia Motors fell 2 percent to 131,638, according to recent data from the Ministry of Trade, Industry and Energy. Experts say a number of factors are at play, including competitive pricing of foreign automakers in recent months. The decisive factor is that German brands like Volkswagen and BMW are rolling outs big discounts, said Lee Ho-geun, a professor of automotive engineering at Daeduk University. 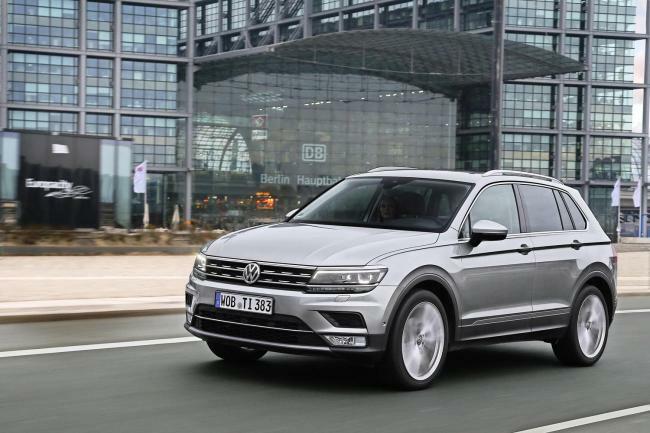 The new VW Tiguan, for instance, is offering 8 percent cash discounts. Mercedes Benz Korea offered a promotion lopping off 14 million won ($12,600) for the C-Class model in February, while BMW offered discounts coming to 15 million won off the series 3 and 3GT. One worker at a Chevrolet dealership in Seoul said foreign cars have become more affordable, making them more approachable. “People who drive a foreign car used to be perceived as rich. Nowadays, safety and performance are considered on top of their luxury image, and more people are willing to pay an extra few million won,” the car salesman said. Against a backdrop of growing demand for foreign cars, another car salesman agreed the pricing has lowered the threshold to customers. A prospective consumer browsing models at the dealership agreed. In addition to the promotional discounts, tariffs have been removed from vehicles imported from some countries based on free trade agreements with the EU and US inked in 2014 and 2016, respectively. South Korea’s current vehicle tax, which is based on the size of engine displacement, also works in favor of foreign cars. Under this tax scheme, lower-end vehicles like the Hyundai Sonata and luxury models like the BMW 5 Series are subject to similar tax levels. Skeptics, however, warn against reading too much into recent sales figures. “It’s not really fair to compare domestic cars and foreign cars based solely on their recent sales performance, when the former has already reached its peak in terms of sales growth,” said an official at the Korea Automobile Importers & Distributors Association. Sleek designs are another strong selling point of foreign cars where South Korean cars have been deemed trailing behind. “South Korean automakers have come quite far with exterior design through hiring high-profile designers, but still fall short of achieving stylish interiors,” said Lee Ho-geun. While foreign car brands develop various models with different target audiences, South Korean companies often try to reach varying age groups with the same design, a strategy that has backfired in the past, according to the professor.